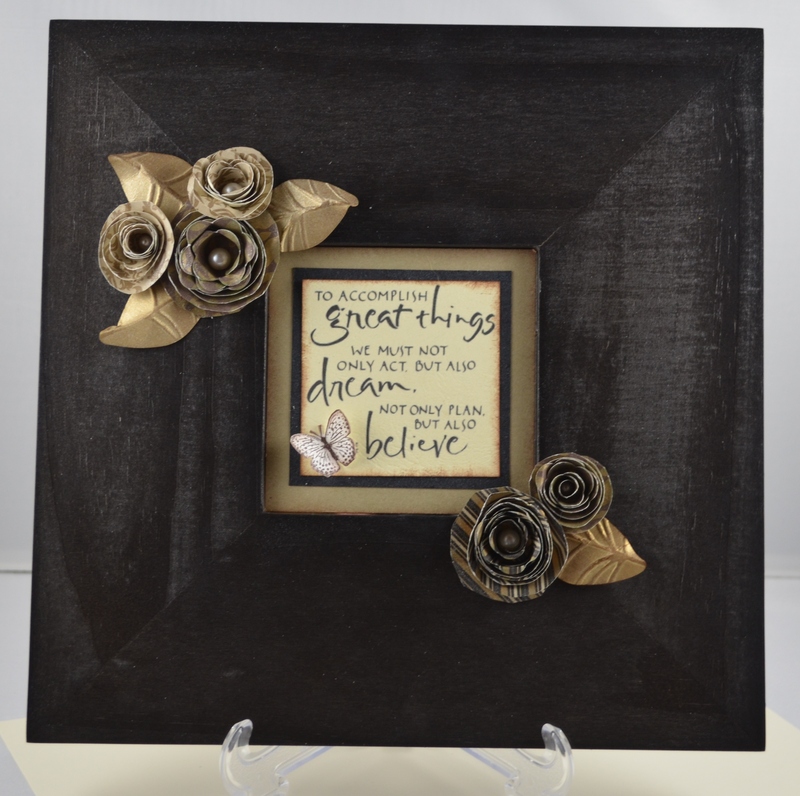 Sherindipity's Blog | Sherahl Weadon – Sharing my creative passion of stamping & scrapping! Please see my most recent postings on my Stampin’ Up! blog at www.sherahlweadon.stampinup.net. 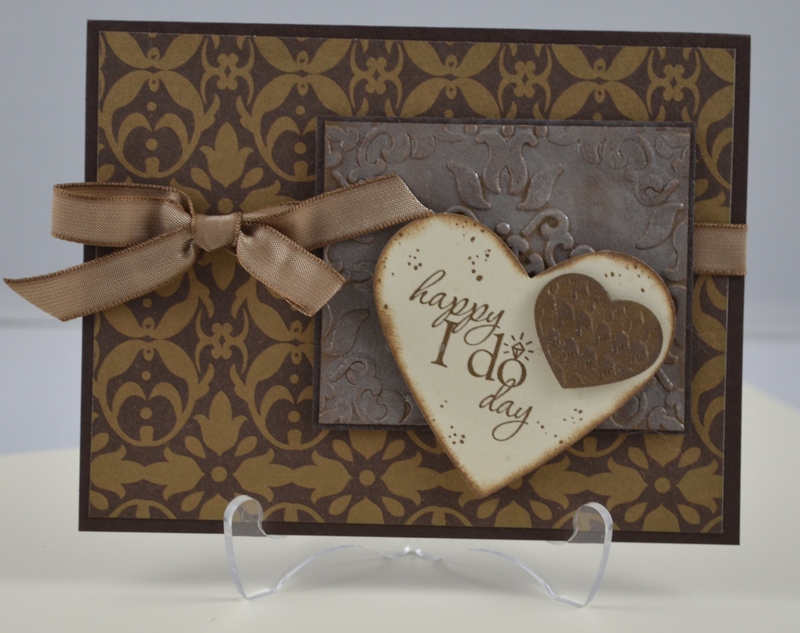 Here’s a few more super quick, easy cards from my display board at Retreat to share with you using the Sweet Cake stamp set and the Sweet Shop Specialty DSP. The second card has some of the cute new Sweet Shop Designer Stickers on them. Very cool! The Sweet Cake stamp set goes away on April 30, so don’t forget to place your order along with your favorite items which appear on the Retired Accessory List on April 25. These items will go very fast so you will not want to hesitate. 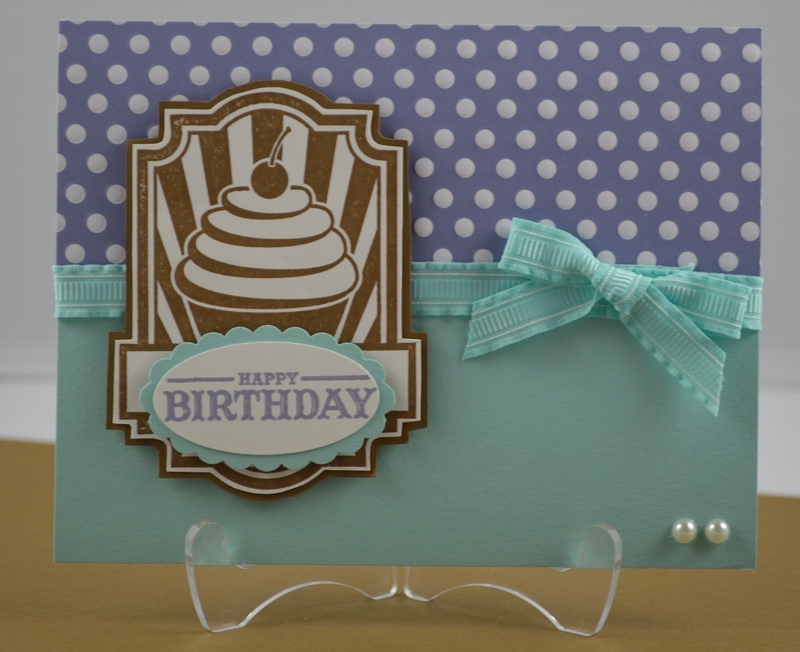 Card 1: Stamp Set: Sweet Cake; Card Stock: Pool Party, Soft Suede, and Whisper White; DSP: Sweet Shop Specialty; Ink: Wisteria Wonder and Soft Suede; Accessories: Stampin’ Dimensionals, Basic Pearls, Scallop Oval Punch, Pool Party 3/8″ Ruffled Ribbon. 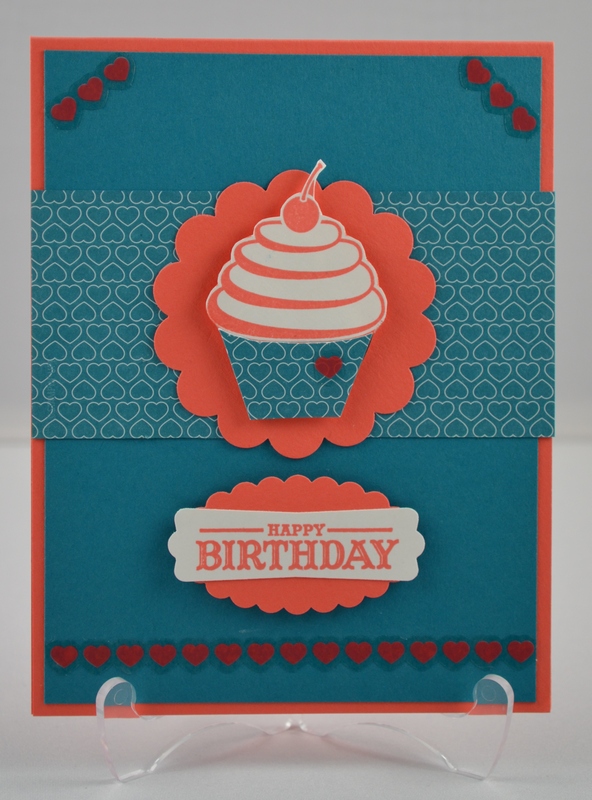 Card 2: Stamp Set: Sweet Cake; Cardstock: Calypso Coral, Island Indigo, and Whisper White; DSP: Sweet Shop Specialty; Ink: Calypso Coral; Accessories: Sweet Shop Designer Stickers, Oval Scallop Punch, 2-3/8″ Scallop Circle Punch, Modern Label Punch, and Stampin’ Dimensionals. 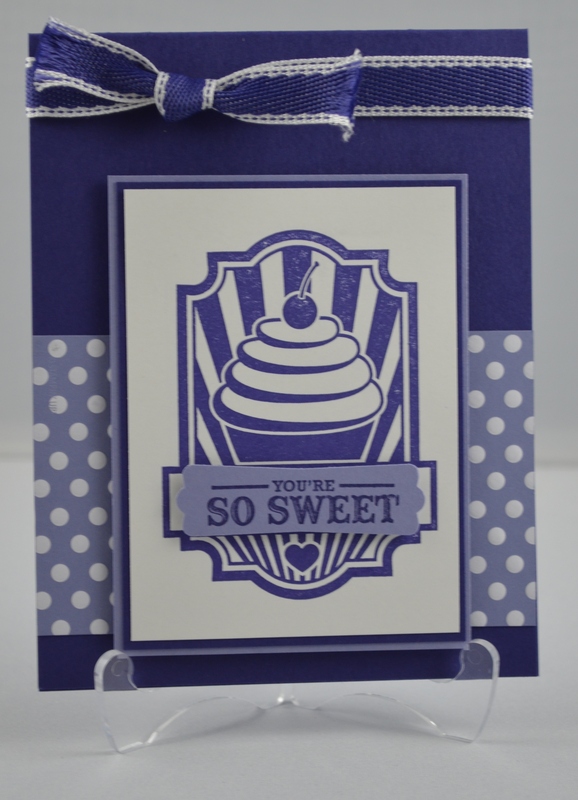 Card 3: Stamp Set: Sweet Cake and Fabulous Phrases; Cardstock: Whisper White, Pool Party and Soft Suede; DSP: Sweet Shop; Ink: Soft Suede; Accessories: 3/8″ Ruffled Ribbon in Wisteria Wonder and Pool Party, Stampin’ Dimensionals and Jelly Bean Brad. Card 4: Stamp Set: Sweet Cake; Cardstock: Calypso Coral, Whisper White and Wisteria Wonder; DSP: Sweet Shop; Ink: Concord Crush; Accessories: 3/8″ Wisteria Wonder Ruffled Ribbon, Scallop Trim Border Punch and Stampin’ Dimensionals. Don’t you just want to lick the frosting off all those cupcakes? This background paper is from the lovely pack of Specialty Designer Series Paper, Sweet Shop, two of which have embossed designs like the one from yesterday’s card (the lovely polka dots). But today’s card is just full of cupcakes! 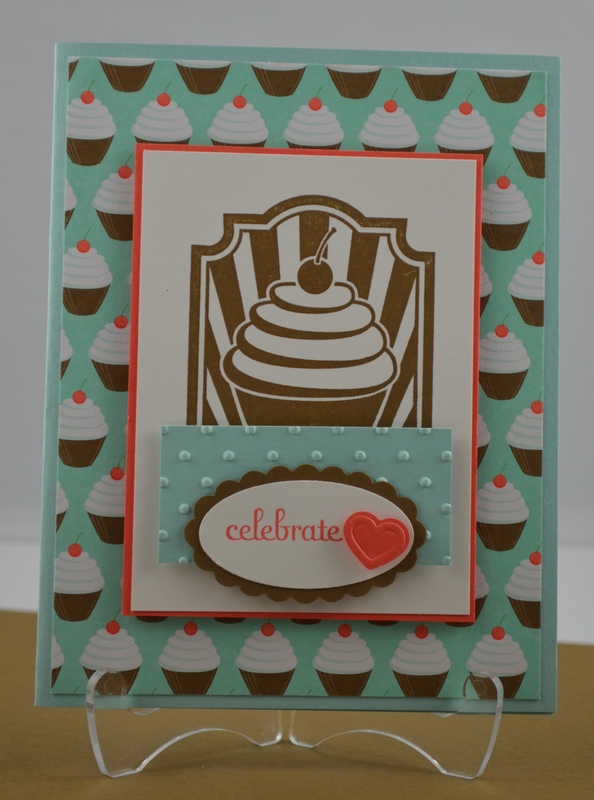 And the centerpiece – another cupcake from the Sweet Cake stamp set! Who wouldn’t want to celebrate with this card?!! Supplies: Stamp Set: Sweet Cake and Fabulous Phrases; Card Stock: Pool Party, Calypso Coral, Whisper White, and Soft Suede; Ink: Soft Suede and Calypso Coral; Accessories: Dimensionals, Big Shot, Perfect Polka Dots Textured Impressions Embossing Folder, Fashionable Hearts Embosslits Die, and Scallop Oval Punch. Concord Crush that is! Isn’t this color yummylicious? Is that a word? Not sure, but it sure describes this card. And not just for the cupcake! This card is part of a group of cards that I made for a display board at the Asheville Retreat – the stamp set is Sweet Cake. It’s available through the end of April in the Mini Occasions Catalog as well as the Wisteria Wonder polka dot dsp featured in the Sweet Shop DSP paper pack. 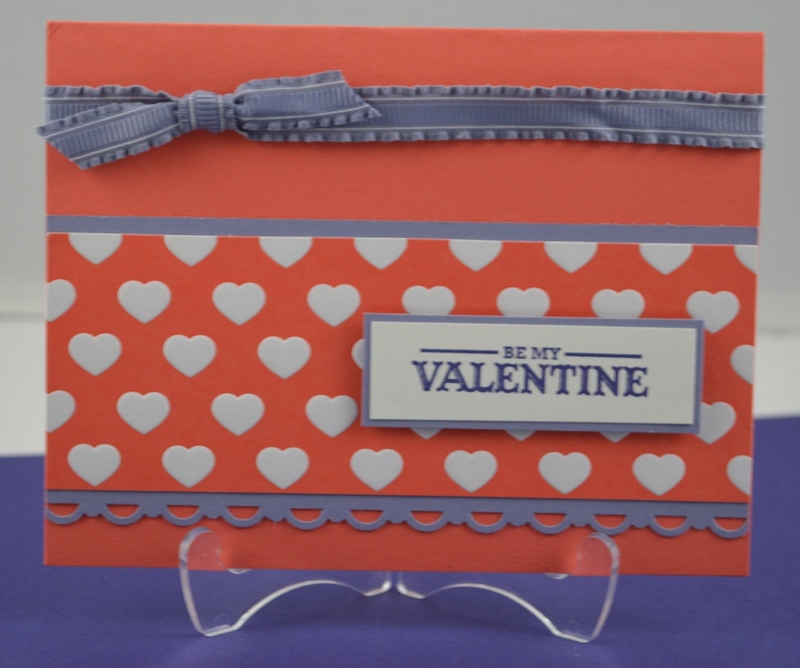 This is an easy card to make – just Whisper White, Wisteria Wonder, and Concord Crush colors. I’ll be posting the rest of the cards in the next couple of days. But be sure to get your Concord Crush on because it will be retiring the end of May as part of the 2010-2012 In Colors. A new set of In Colors will be revealed in the new 2012-2013 Idea Book and Catalog in June. Supplies: Stamp Set: Sweet Cake; Cardstock: Whisper White, Wisteria Wonder and Concord Crush; Ink: Concord Crush; DSP: Sweet Shop; Accessories: Dimensionals, 1/2″ Concord Crush Poly-Stitch Ribbon. There are over 300 stamp sets retiring from the 2011-2012 catalog, and this is your chance to get them before they’re gone. Many products are only available while supplies last, so be sure to get your orders in early! 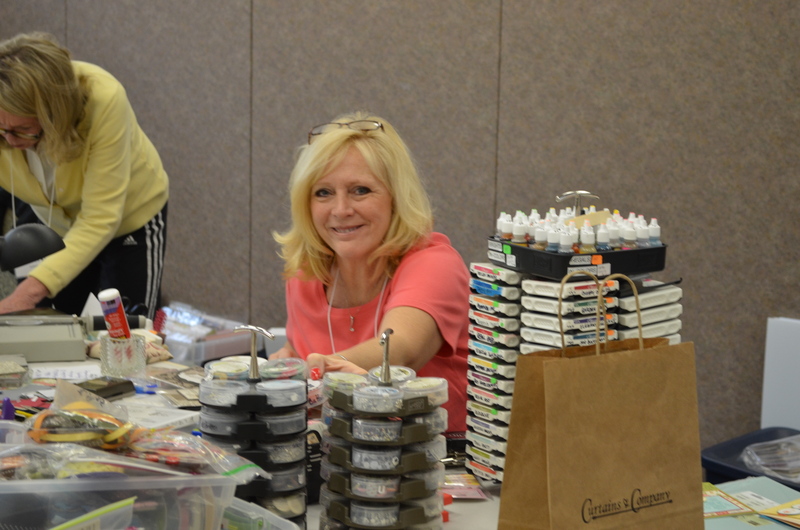 Check out the Retired Stamps List at the bottom of the Promotions page on my demonstrator website! The Retired Accessories List will be available on April 25. 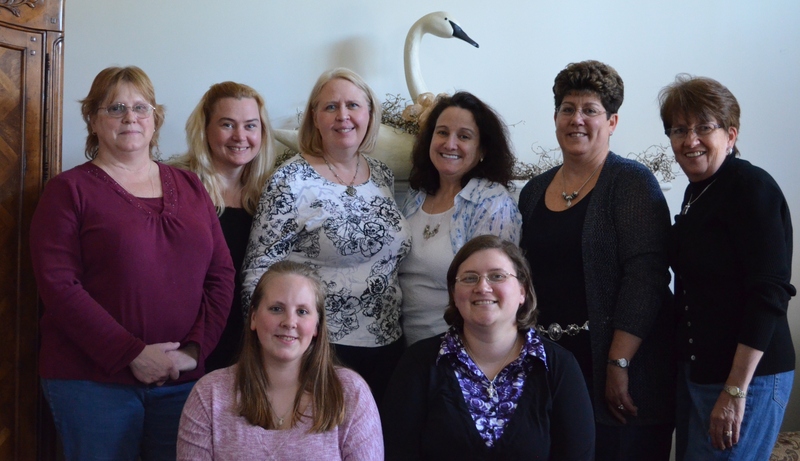 One of my good friends and downline, Betsy, is moving to Florida so I gave her a going away tea party. 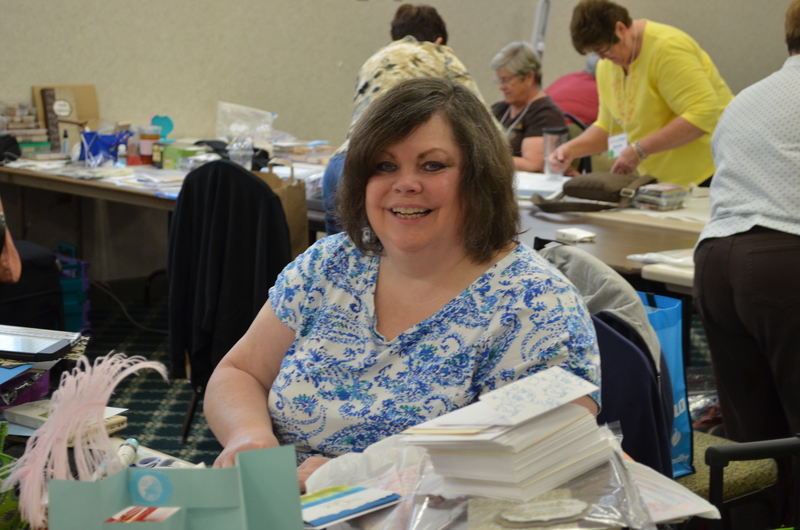 Most of the ladies from my Sherindipity Stampers group was in attendance for some great tea party make & take projects, food and fun. 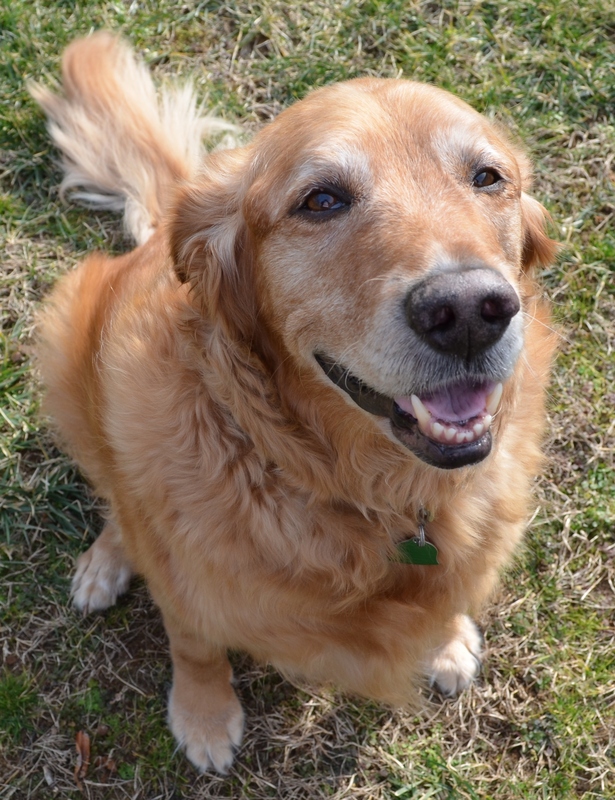 Betsy was one of the first people I met when I moved to the Eastern Shore 7 years ago. It took a while but she finally took the plunge and became one of my Sherindipity Stampers and has been going full speed ahead since. She is a great networker so I know she will have no problem starting up her business once she gets to Florida. She recently recruited two new demonstrators in between packing up her house in MD, looking for a new house in FL, traveling back and forth and taking care of 3 kids and a husband. She amazes me sometimes how much she manages to stuff in one day. Betsy girl, I know you will do just fine. 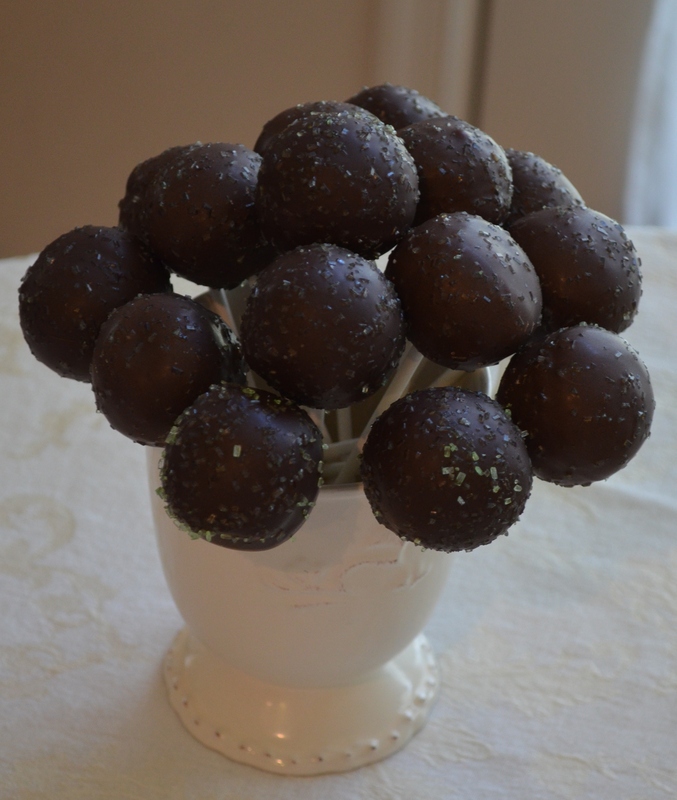 Here are two of the projects we made at the party as well as a pic of the first chocolate cake pops I ever made. They were rich, but oh so Yummy! 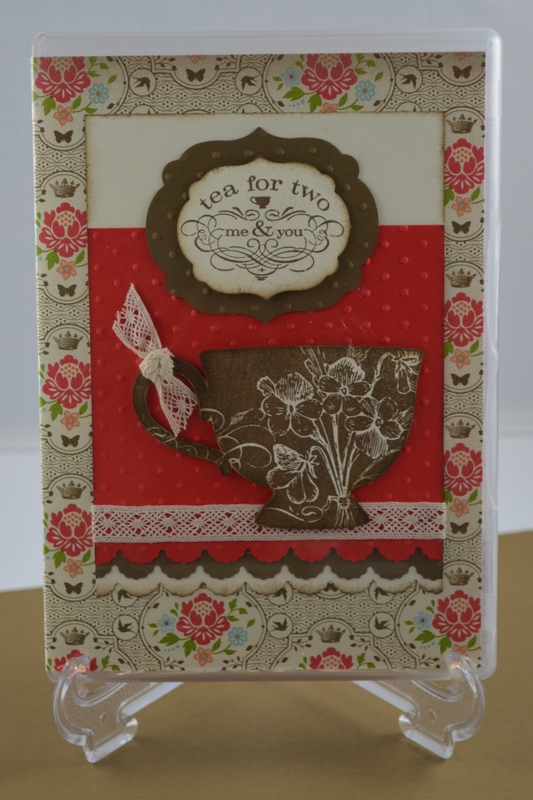 The Tea for Two project is one of Stampin’ Up!’s clear stamp cases stuffed with pockets of different types of teas and Ghiradelli chocolates. The second is a cute little teacup card. 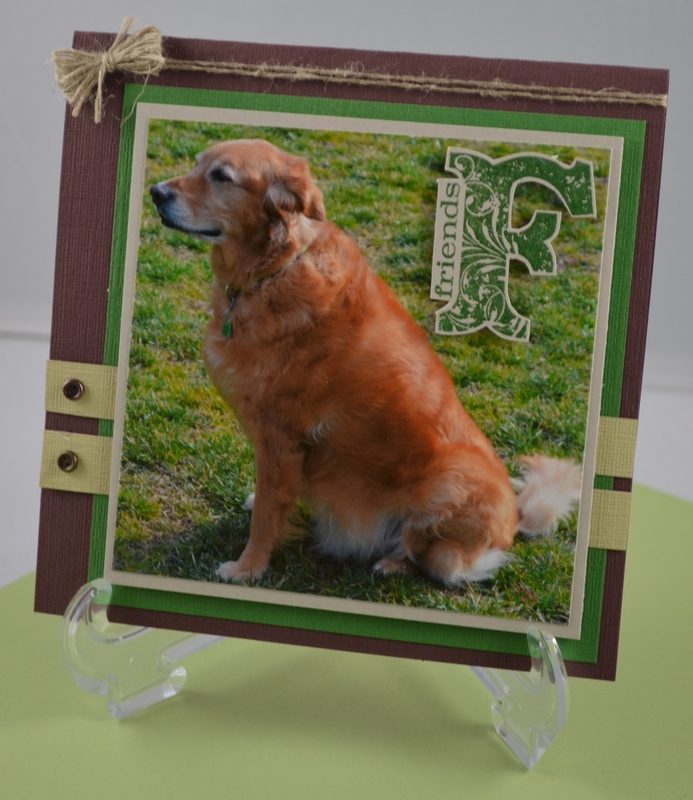 Both projects were made using the Tea Shoppe stamp set from the Occasions Mini Catalog. 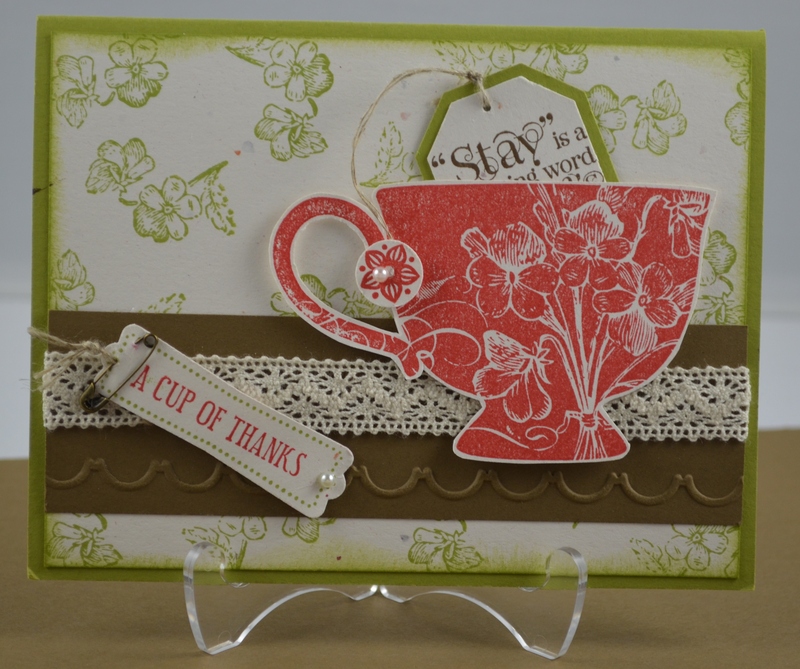 This catalog is set to expire on April 30 so be sure to get your Tea Shoppe stamp set now. The DSP used is from the Everyday Enchantment that ended with Sale-A-Bration in March, but you can adapt any DSP to be used. Bon Voyage Betsy! I will miss you but thanks to Facebook we can always be in touch until you make your trips back home to see family in MD. Quick post before I head out the door to go grocery shopping! 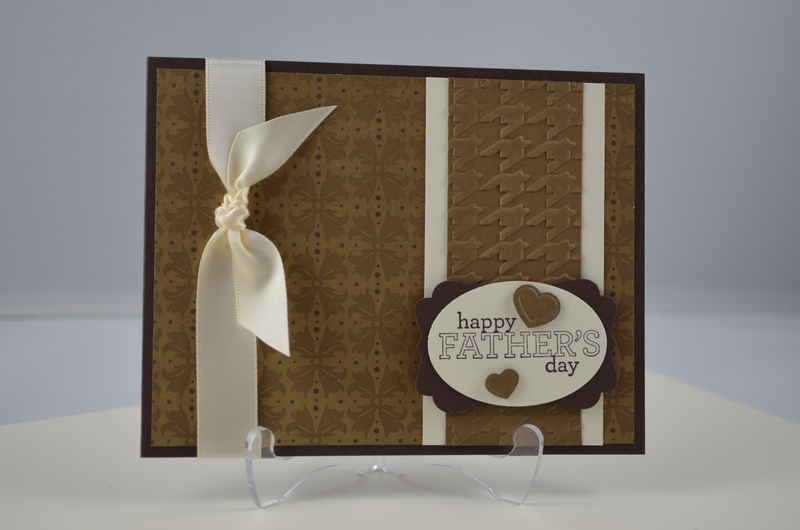 Stampin’ Up!’s Mocha Morning Specialty Designer Series Paper is great for making men’s cards too, like this one for Father’s Day. 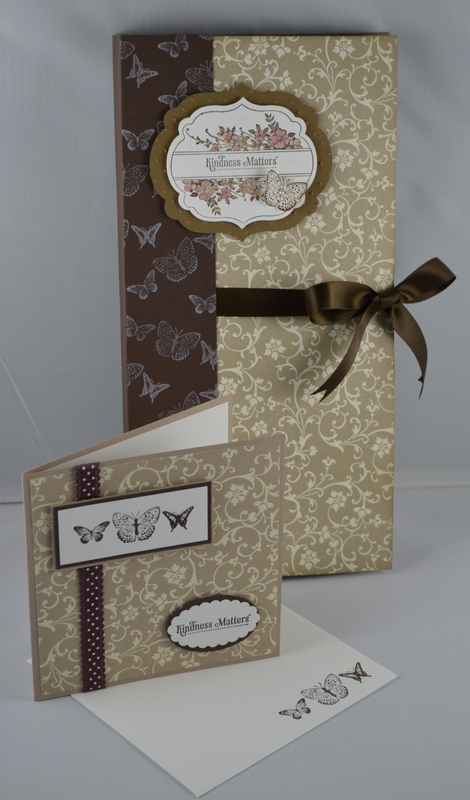 The colors are great – Soft Suede and Early Espresso, and this was one quick card too. 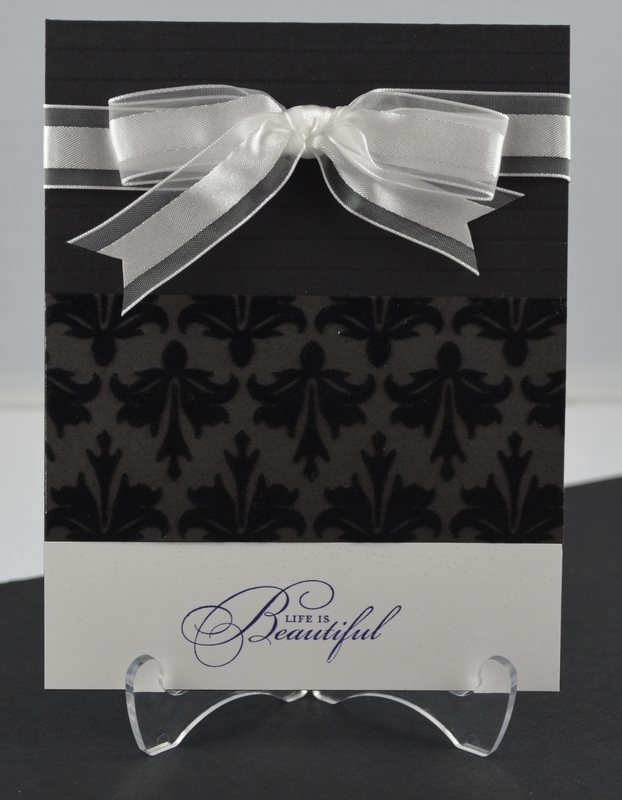 To make this card especially manly, I pulled out my Big Shot and embossed the strip of Soft Suede CS behind the wording with the Houndstooth Textured Impressions Embossing Folder. See you tomorrow with another Mocha Morning DSP card! Supplies: Stamp Set: Delightful Dozen; Cardstock: Early Espresso, Very Vanilla, and Soft Suede; Ink: Early Espresso; DSP: Mocha Morning Specialty; Accessories: 5/8″ Very Vanilla Satin Ribbon, Large Oval Punch, Decorative Label Punch, Dimensionals, Big Shot, Houndstooth Textured Impressions Embossing Folder. It’s Going to be a Mocha Morning Kind of Week! 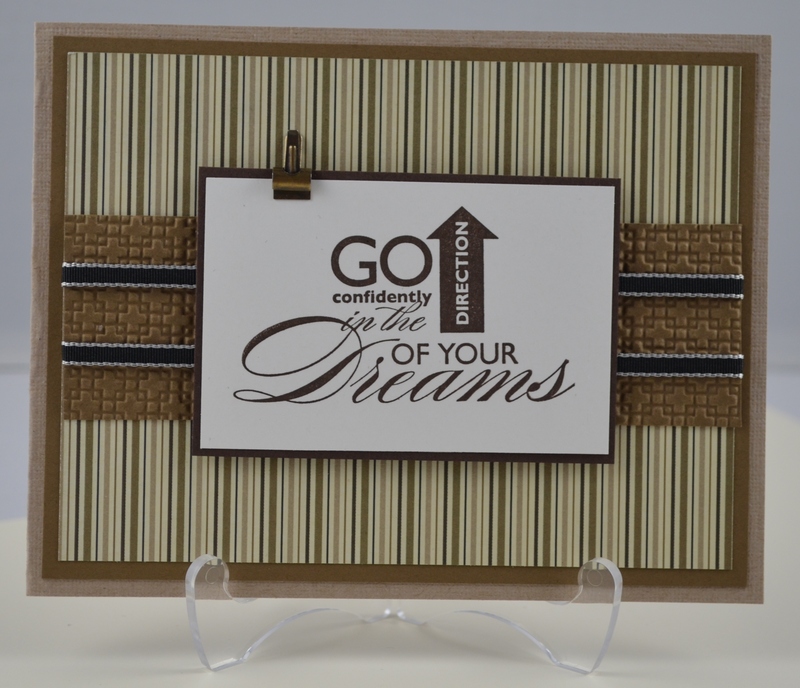 So much going on right now and I haven’t had a chance to post lately, but while brainstorming last night I remembered I hadn’t shared my Mocha Morning cards from my North Carolina retreat display board on my blog yet. So that’s what I’ll be doing all this week. 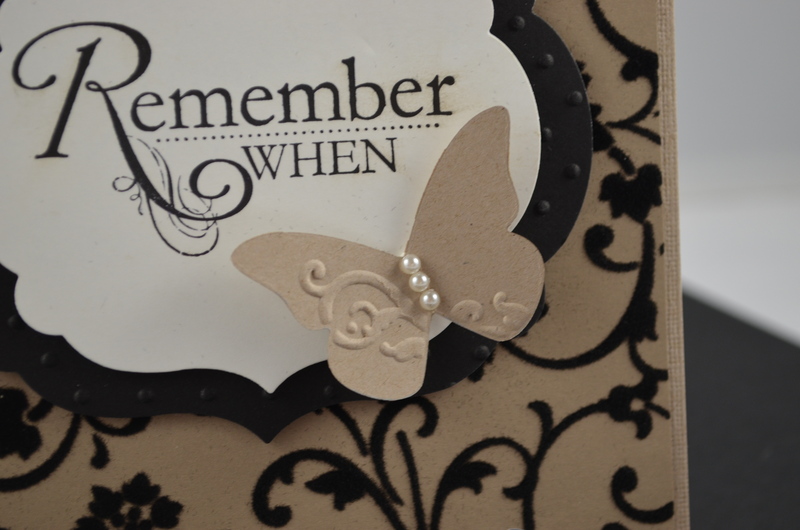 After you see these cards, you will realize that if you haven’t purchased this lovely Stampin’ Up! Specialty Designer Series Paper yet, you must. But you will have to do it soon as it will be retiring as all good Stampin’ Up! designer series papers do when a new catalog comes out. And that will be early this year, with the new catalog making its debut in June instead of July. So I hope you enjoy my Mocha Morning DSP creation today and keep coming back for more the rest of the week. This is my favorite of the bunch! 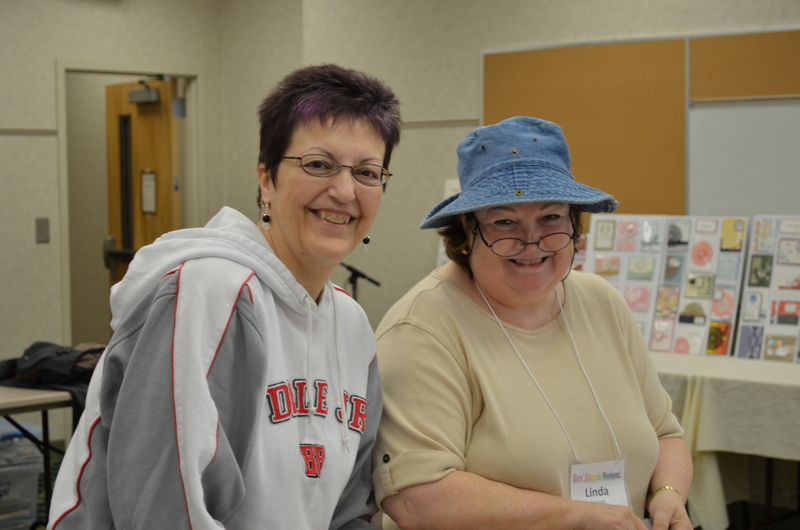 Here is a pic of me and my friend, Bonnie Henderson, another SU! demonstrator, who organized the retreat that I attended last month in Asheville, NC . Bonnie was also my roommate and we had so much fun – staying up until the wee hours of the morning laughing at each other’s escapades from years long ago! 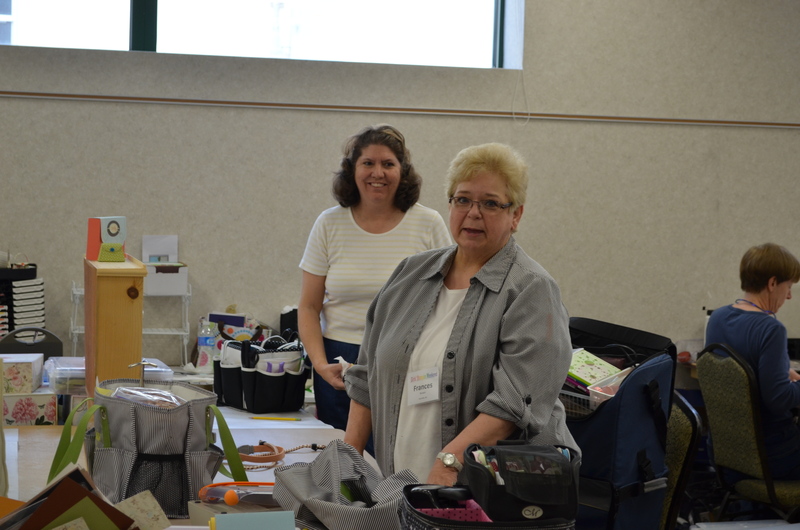 Thanks Bonnie for allowing me to teach at your retreat and I look forward to doing so again in the fall. 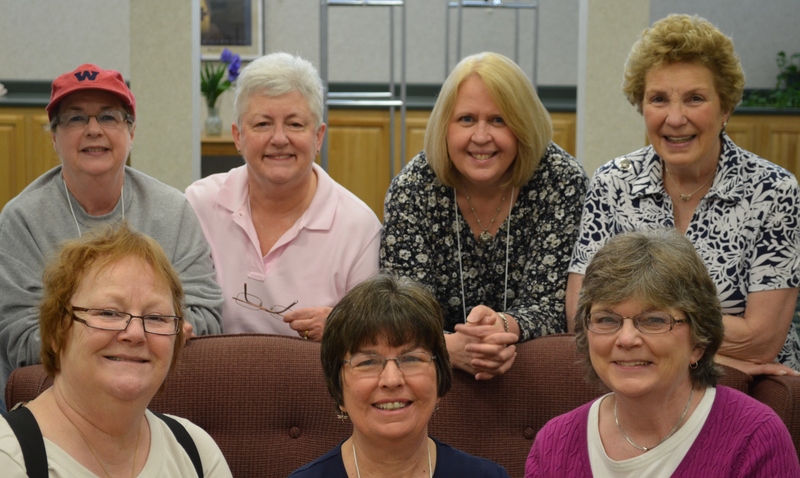 Here is another pic of a great bunch of gals that attended one or both of my classes that I taught at retreat. 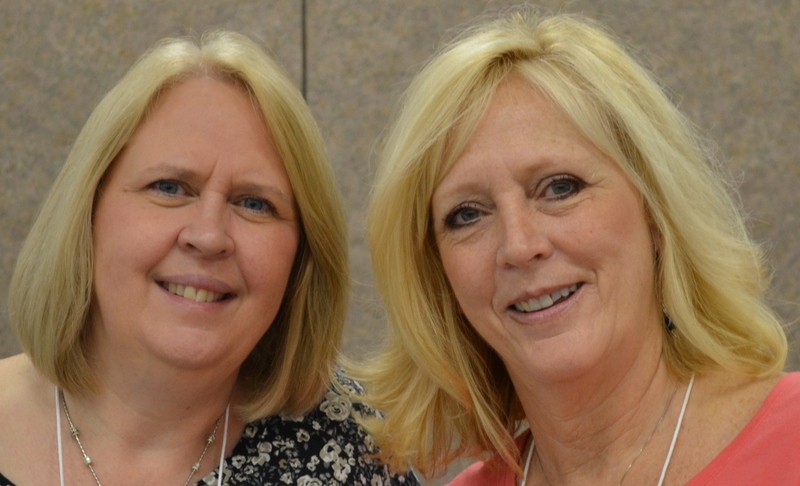 They are referred to as the Tennessee Gals. They were so fun and willing to share all their ideas with me as well as including me in with their lunch and dinner groups. Two of my friends that I met at retreat last fall, Kathy Williams and Sandy Sluder, both from Tennessee, were unable to attend this spring retreat so I decided to swing up through Tennessee on my way back home to Maryland and had dinner with them at the Chop House in Kingsport and got to share all my cards and ideas with them that we did at retreat. It was such a pleasant evening catching up with each other. For some reason my flash was not working on my camera and the room was so dark those pics did not turn out so I don’t have them to share with you. 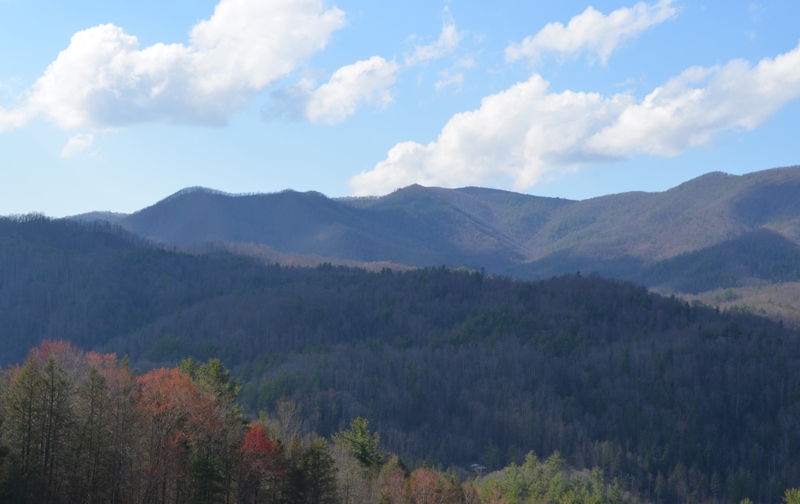 But here is one of the Tennessee mountains that I took when I was on my way to meet up with them. Such a pretty state! 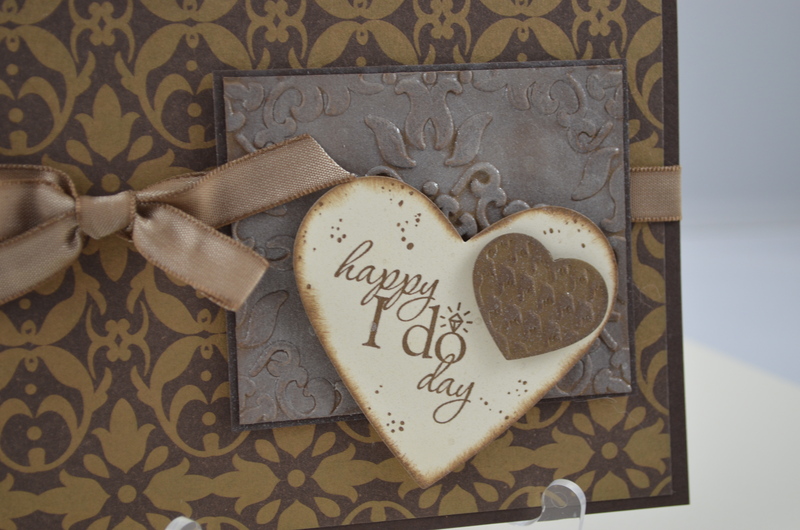 Stamp Sets: Bordering on Romance (Mini Occasions – last day to order April 30) and Party Time; Cardstock: Textured Crumb Cake, Soft Suede, Very Vanilla and Early Espresso; Ink: Crumb Cake, Basic Black, Lucky and Limeade; Specialty Designer Series Paper: Mocha Morning; and Accessories: Big Shot, Square Lattice Textured Impressions Embossing Folder, Linen Thread, Basic Pearls, Aqua Painter, Dimensionals and Itty Bitty Backgrounds (retired). Sugar & Spice – That’s what Girls are Made of! My neighbors, Phil and Mary, just had a beautiful baby girl, named Catherine Rose. 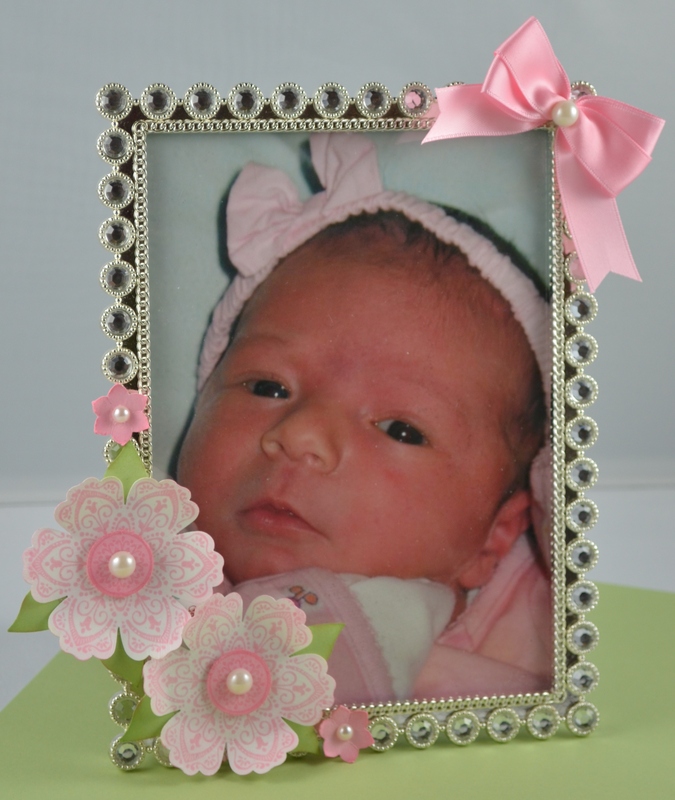 I decorated this cute frame with some flowers to spice it up for their little beauty. Thanks Mary for letting me have my baby fix this morning. 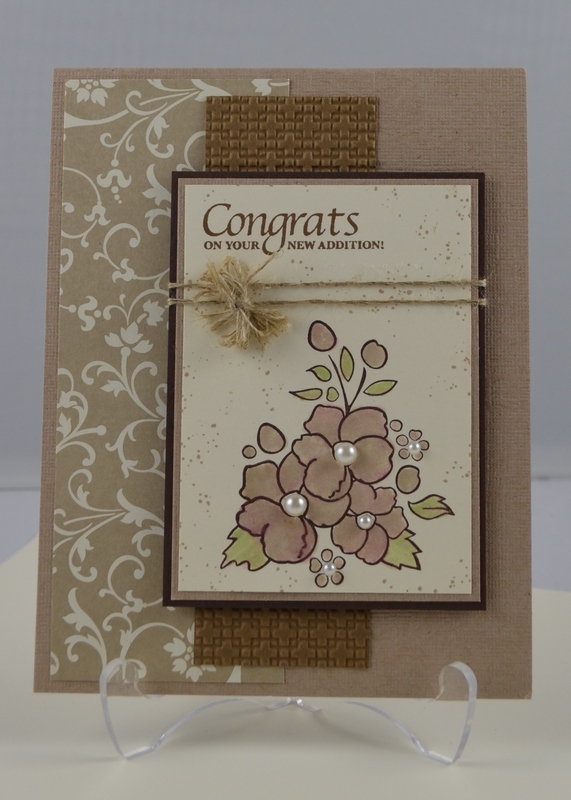 I used the new Mixed Bunch stamp set from the Mini Occasions catalog along with the coordinating Blossom Punch to make the flowers. I stamped the flower image in Pretty in Pink and punched out centers of the same color card stock. 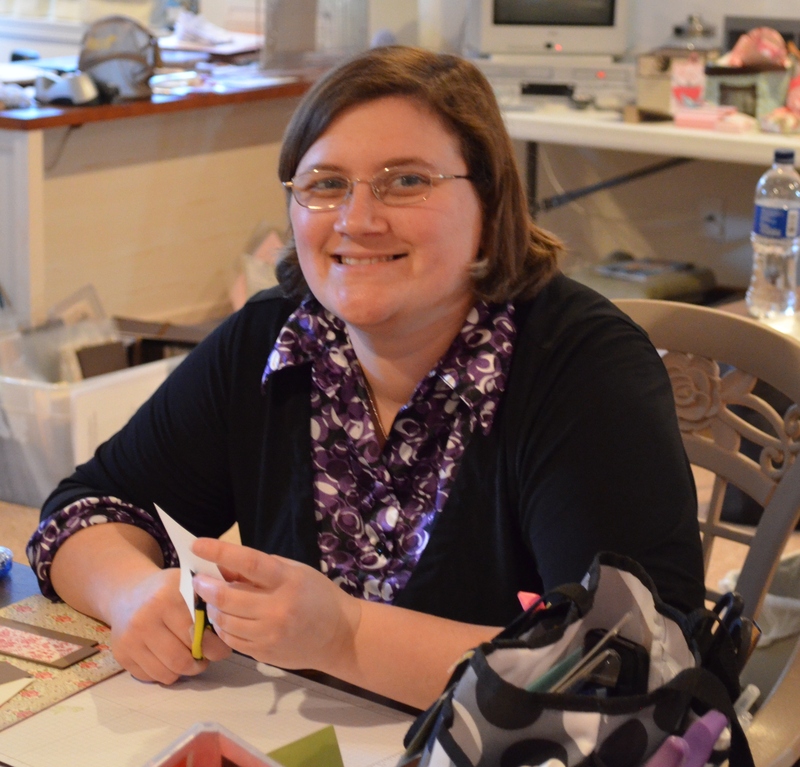 That’s what’s great about Stampin’ Up! products – coordinating colors in everything from ink, cardstock, markers, ribbons, buttons, etc. ! 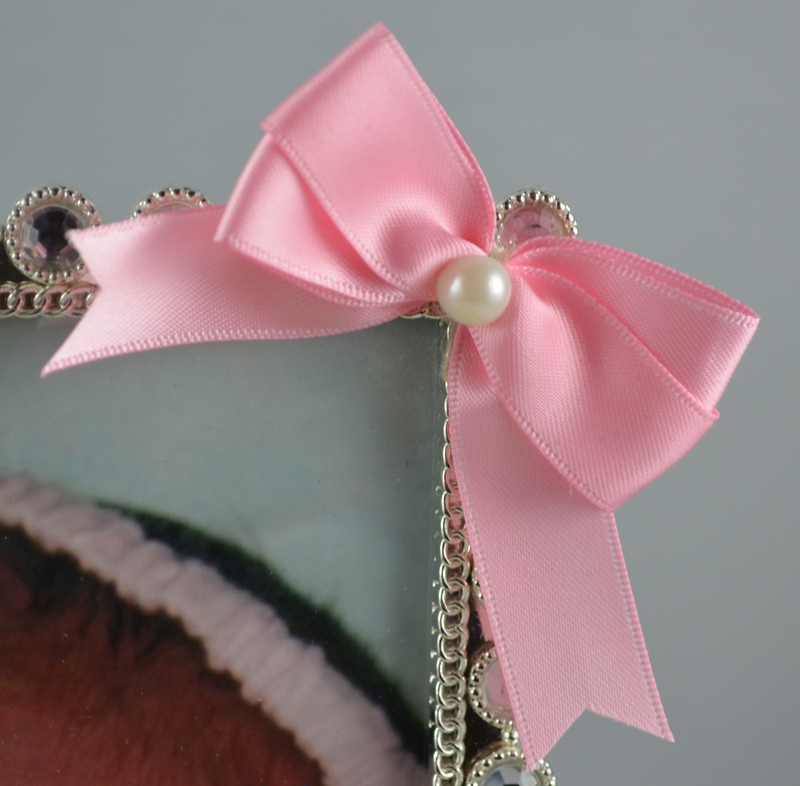 I added the new 8 mm pearls to the centers of the flowers and on the bow which I made with my Perfect Bow Maker. 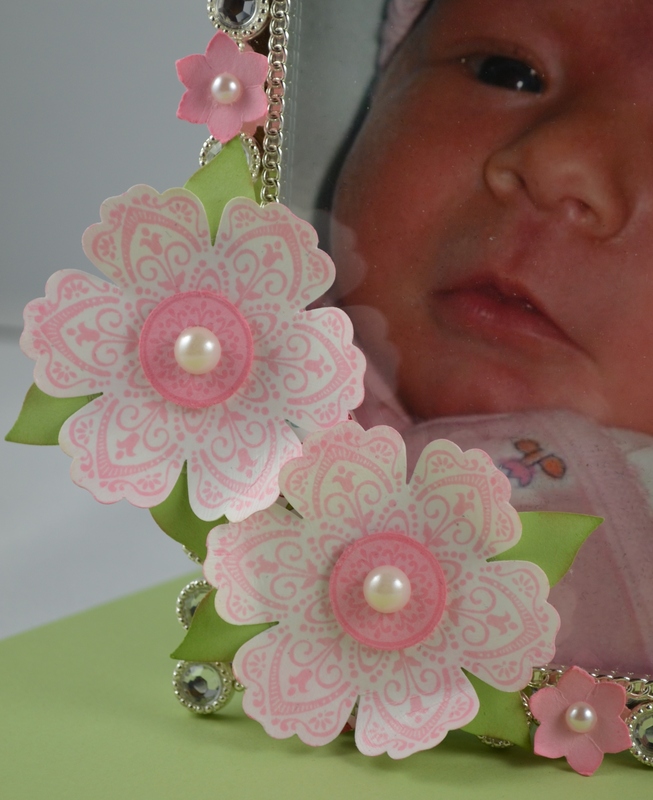 The smaller flowers were made with the Boho Blossom punch and the Basic Pearls. I added all the flowers to a base which I made out of chipboard covered in Twitterpatted DSP and hot glued to the front of the frame. I also modge podged the large flowers so I could form them to flip up on the edges. 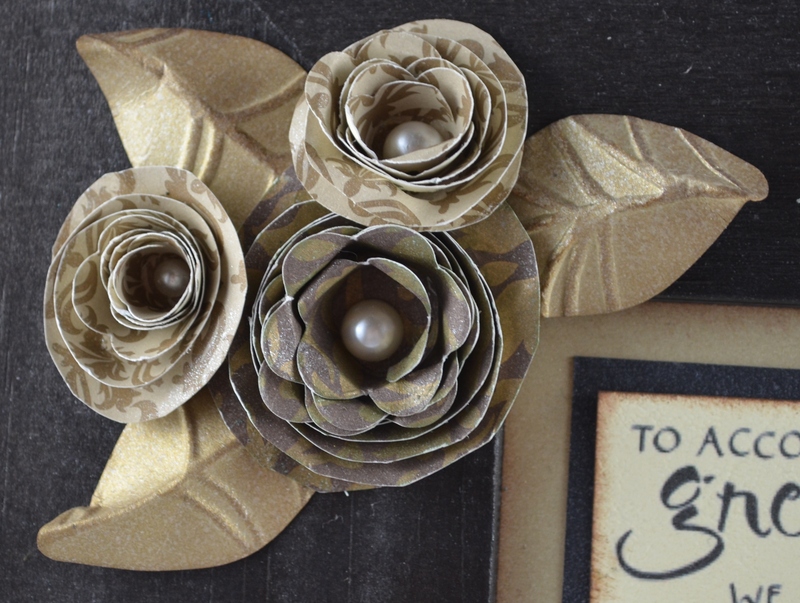 Both the chipboard and the modge podge gives the flowers stability as well. I used the Two Step Bird punch (wing section) to make the leaves out of Certainly Celery card stock and sponged them on the edge to give them some depth. I used my Perfect Bow Maker to make the Pretty in Pink Bow. What a sweet little girl full of sugar and spice! Supplies: Stamp Set: Mixed Bunches; Cardstock: Whispering White, Pretty in Pink and Certainly Celery; DSP: Twitterpatted; Ink: Pretty in Pink and Certainly Celery; Accessories: Punches: 3/4″ Circle, Boho Blossom, Two Step Bird and the Blossom Punch, 5/8″ Pretty in Pink Satin Ribbon, Basic Pearls and 8 mm Pearls, Stampin’ Dimensionals, Linen Thread, Chipboard, Frame, Modge Podge and Glue Gun.